Good idea to get the potato going in the microwave first, tho I wonder if it saves electricity (cooking time maybe). I've found that drizzling some olive oil on the potato and sprinkling coarse salt on it, then wrapping it in aluminum foils gets the skin crispy when baked. Fortunately for me, I do not have to worry about utility usage. I too rub my taters with oil before they go into the oven. I have never been a fan of wrapping the tater in foil. Just scrub and oiling gives me some very delicious taters. The key to safe, effective microwave cooking, especially of big chunks of meat like roasts, is to use an insertable thermometer without fail. Regarding BIG jobs, my wife has for years done large turkeys by microwave alone, with results that must be seen and tasted: white breast meat is juicy and tender, unlike my Mother's old long-time oven baking, where the meat required liquid with a mouthful, to swallow it! Why not get the right tool for the job? Thermoworks has a line of thermometers, oven safe probes, etc. that are designed for cooking (and not servicing air conditioners!). ATK gives them high ratings, and I concur. I've gifted a few ThermoPops, as I use mine all the time. They have an excellent turkey cooking guide on their website. I think we’ve had the Great Baked Potato Summit before. I remember because someone posted a link to ATK’s Best Baked Potatoes, for which I’m grateful! I made these a couple of times, and they are pretty darned near perfect! Pretty much the only drawback is electricity usage. Bound to be someone here recognizes me; I'll be in trouble, sure! Gotta admit you are right with that aspect! To cover it, we use a Micro/convection oven, which is no more than a regular microwave oven having the added ability to heat by convection, not microwaves, just like your kitchen stove's oven. Most allow combined micro and convection at the same time, thus reducing cooking time and producing nice crispy outsides. For roast duck, however, my childhood recollections of that crispy brown bird coming out of my Mother's oven are such that I doubt I would microwave one! Ummm....imp, you seem to be focused on the microwave as your primary cooking method, which is all good and fine if that's your deal. Never before have I ever heard of anyone having a large enough microwave to cook a whole 'large' turkey, let alone wanting to..... Sorry...just sounds odd to me. Hey, stating how one feels is nothing to be sorry for! 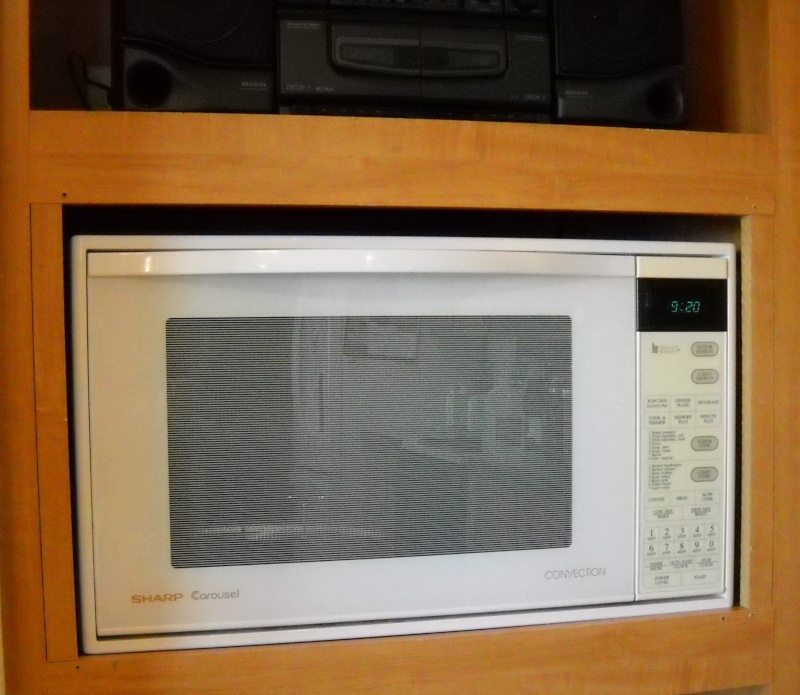 Yes, we are focussed on effective use of microwaving; we have two, small and large (micro/convection). Regarding the size of bird: I like them BIG; my wife does not. The size of oven cavity DOES limit the size of turkey "doable". Additionally, if the oven has a turntable, that further limits "squarish" things from rotating on it. The bird must not catch it's "corners" on the walls or it cannot turn. 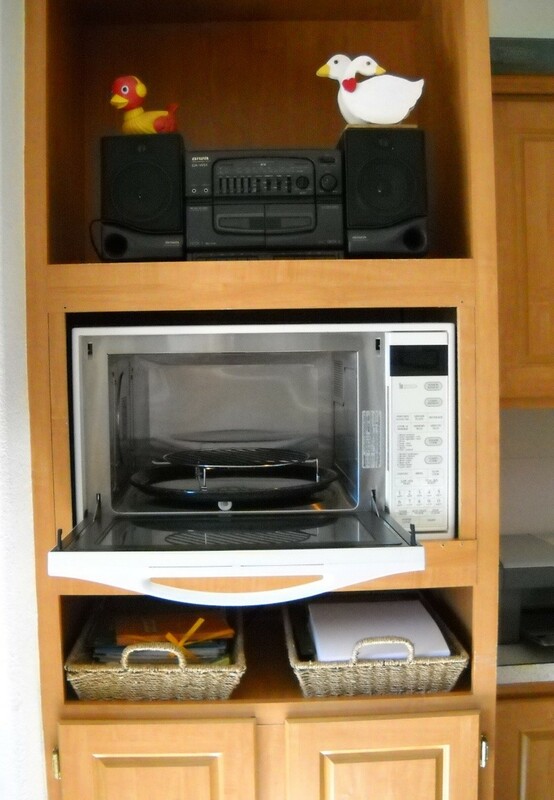 The turntable concept originated long ago, by Sharp I believe, as they knew full-well that the microwave energy was not distributed evenly, allowing relative "dead-spots" in the oven, so they turned it's contents for even exposure. Sharp (and others) STILL pushes it's turntables; I don't like them, personally. Turntables are rotated by big rubberbands. Heavy weights, like turkeys, strain the tables, and early-on warranty problems caused many makers to add a "stirring fan" in the waveguide which feeds the oven cavity, and dumped the turntable altogether; I like those best! My wife doing her classes, had a Sharp-provided "light-board", a clear plastic sheet with tiny neon lamps embedded at 2-inch intervals throughout. Placed in an oven, the lamps glowed evenly in "good" ovens, unevenly (unlit) in "bad" ones. The turntable, of course, lit up completely, "selling" the oven! So, no, we do not use microwaving exclusively. But, our stove's oven is rarely used, the stove-top very frequently. I hope you will put up some detailed recipes for your microwave cooking. I'm not a big fan of microwave ovens, other than warming things up, but I have an open mind. If you post up a recipe that looks good, I'll give it a try. On the other hand, I hope you will try some other methods, too. I hope you won't just be an evangelist for microwave cooking. As I mentioned elsewhere, my dad is an engineer, and in his 80s, has adopted my interest in cooking. I got him a sous vide set-up for xmas last year, and he loves it -- we share our sous vide cooks on the phone on a regular basis. Go figure, artist and engineer sharing recipes and cooking techniques. I will do a bit of searching about first. There are as many cooking manuals in our house as there books in a library! No, I don't try to "push" microwaving, but do feel many need encouragement to do actual cooking. Rest assured, we cook by all methods, as I am little short of being a glutton! Interesting about your Dad: I, too, am a retired Engineer, still in my '70s. I love my skin on baked potatoes to be crispy. I start the tater in the microwave, but always finish it in the oven. Very true! A 2-minute microed potato will be thoroughly cooked, but still have soft skin. Gives me an idea to try something I haven't done. I'll Micro/convect a potato to try to get crisp skin. Should take not much more than 8 minutes or so; I remember my Mother baking potatoes in her gas oven FOREVER! Except, with my wife being on a Keto-craze, we have no potatoes in the house! Here is our luckiest buy recently! Big Sharp Micro/convection oven, bought from a couple moving away to Colorado, they were pressed for space, my wife tested it in their garage, worked fine, both micro and convect (heat), the guy asked thirty-five bucks! My wife was delighted. Note that the door opens downward, instead of sideways. Only one she's seen made that way, though she sold hundreds! Also note, it has the infamous turntable, and, it's made of METAL! How that's possible, I dunno. No metal to be placed in a microwave!! It will swing a 16 lb. turkey, easily; my wife prefers 12-14 lbs. Baking such a bird will take between 60 and 80 minutes. I remember my Mother starting the Thanksgiving Day bird around 6AM; we ate about 1PM. Those were the days!